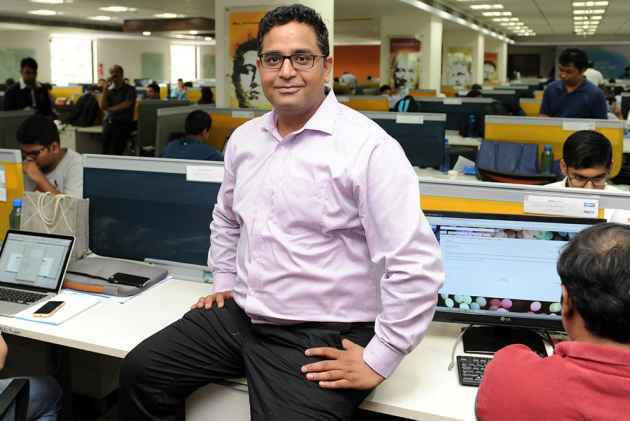 Like a majority of people from small towns, Vijay Shekhar Sharma knew Aligarh and its environs. But he had bigger ambitions, and did exceedingly well in his studies. A topper throughout, he raced through school at 14 and came to Delhi to join an engineering college. Since he was underage, he had to wait for a year before he joined the Delhi College of Engineering. Sharma considers it a privilege to be exposed to computers early in college and calls himself a first-generation internet consumer. While still in college, he wanted to start an internet business. Soon, he lau­nched a company, turned it into a success, and sold it to a media firm. In 2010, during the smartphone revolution, consumers were inc­reasingly using their phones to download content. “I had a Eureka moment—I saw iTunes and Webstore, but found that India did not have any online payment system,” he says. It was a leap of faith att­empt and PayTM was born, aimed at giving users an online payment experience. Today, PayTM has a customer base of 140 million and is doing payments worth $4 billion a year with revenue of just under Rs 1,000 crore. Sharma feels that social media has reached a stage where people will look at it more than a newspaper. “I started as a consumer of social media and became a creator of content. The best part is that it is not editorially curated. There is a raw beauty to it,” says Sharma. Today, Sharma is a heavy user and content creator on social media for his company. He says he uses it individually and posts his thought processes on it. Its most important job, he feels, is to influence people. For Sharma, social media is an excellent mode for customer feedback. As such, he has put in systems to utilise social media to connect with his customers directly. Today, PayTM’s customer care is on social media and Sharma encourages all his teammates to be on social media to connect directly with people. “Social media gives us important business feedback and ideas about lines of business for us,” he says. In future, feels Sharma, social media will be an important element to also get an insight about what people really want from a particular business. “Social media is the most consumed media and all brands use it. Today, perceptions are created out of social media and not out of traditional media,” says Sharma. Now, PayTM launches a campaign on social media, looks at what is relevant and then launches it on TV. It may not be far when campaigns may be launched only on social media, as that is what catches the real pulse of the people, feels Vijay. What iPhone, I Have The Blackberry! The veteran BJP leader, L K Advani was perhaps the first politician to shun a paper diary for a digital one to organise his schedule. Why do people follow celebrities on Instagram? Because they want to see something real, not pictures shot by a photographer.